I've not had as much time for games (or work on this site for that matter) that I would have liked in the last year. With a few exceptions I've mostly played short experiences, ones that I actually have time to beat. There are many games that I'm yet to complete. Some of which may well have ended up in this article if I'd set my mind to it. I think the standard of games in 2016 have largely been very high. I have played outstanding games across many different styles and have been impressed throughout. It's strange though, there isn't one game that stands up that list for me like Read Only Memories last year and Transistor before that. Everything about Shardlight's narrative and world drew me in and I found it difficult to tare myself away until I had finished. I enjoy a personal story in a post-apocalyptic world and Shardlight delivered this tremendously. A well-written, well-voice protagonist helps ease you into the world; a mixture of sadness and sharp sarcasm. You follow Amy for the duration as she delves deeper into the government workings and a rebel group fighting for what they believe will be a fairer world. 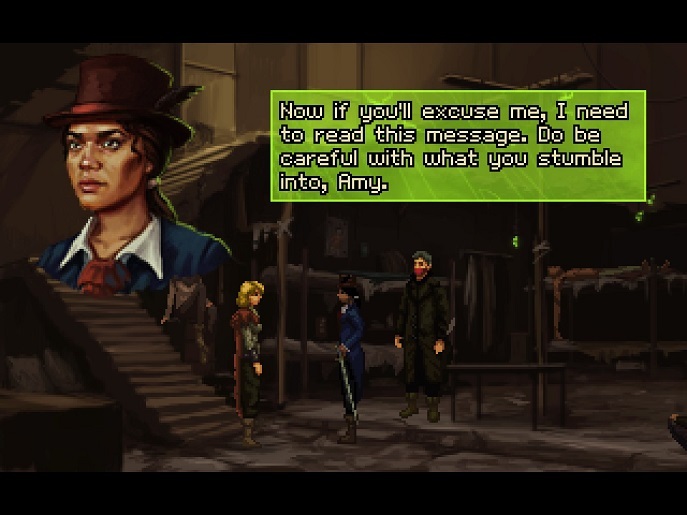 'What made Shardlight stand out to me was the characterisation. The people in this world are scared, ill and doing whatever they can to get by. It gives the game a very human feeling, rather than turning immediately to violence and looting that you encounter in other games featuring the world as we know it destroyed. 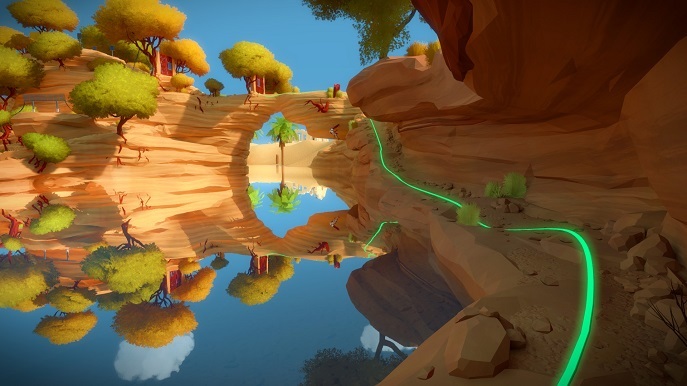 The Witness is so special and I'm hesitant to say why. The last thing I want to do is rob anyone of the amazement of uncovering the depths of the game and the many surprises along the way. It is as much about discovery as it is solutions. The landscapes are crafted with such dedication and care everything is where it is for a reason. Exploring the island and taking in its beauty is an experience in itself but slowing down with a studious eye leads to certain realisations. The puzzles are a good blend of challenge and frustrations – the open world allows you to step away from a puzzle you are struggling with and focus on another. There are some faults. Some puzzles upon failure will require you to solve the previous one from the sequence to get another go. A tedious exercise when you can still see its solution and simply have to retrace its pattern. I could talk for quite some time about the workings of The Witness but instead you should just go play it. It's a stunning experience. 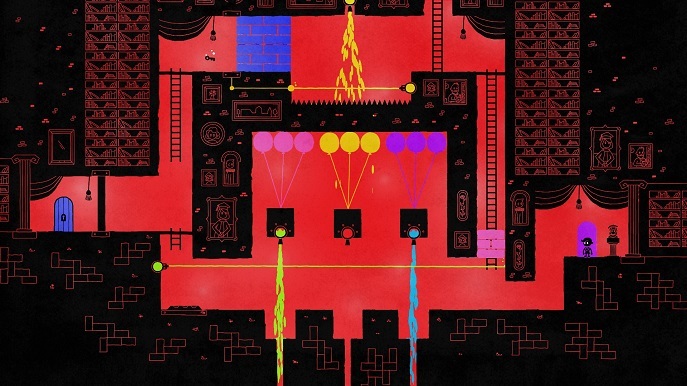 Let's get this out of the way: the first two hours of Hue aren't very good. This is a worrying fact for a game that takes around four hours to complete. However, the second half of the game is an exceptional example of puzzle solving with a unique hook. Once you collect all the colours the puzzles become a sequence of complex and fun rooms where the solution isn't always clear from the get go. If the entire games was as clever as this it would have potential to be top of the list. The presentation and audio are fantastic throughout, with maybe the exception of some of the opening caves which are a little plain. The piano-led music sets the atmosphere from the moment you load up the game and the Mother's occasional narration adds some interesting depth. The conclusion is a sweet end while my head was still spinning from some of the puzzles. 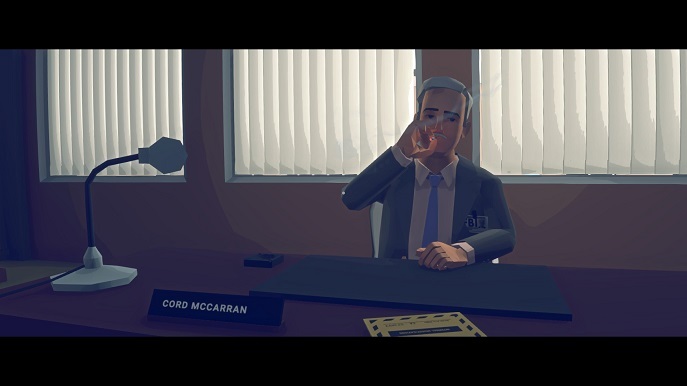 Virginia is a masterpiece in pacing and editing and not quite like any other game I played in the last year. It is a wordless, short experience about an FBI agent investigating her partner while they both look into a missing teenager in Virginia. With a low-poly art style and a phenomenal score by the Prague Philharmonic Orchestra – which I listen to frequently – the game engrosses you from the start. There are jump cuts which are impeccably timed to this score. The first time I truly noticed this it made me exclaim out loud in surprise. The movement and expressions of wordless characters you encounter convey emotion and meaning in a way more effective than some other dialogue heavy games I've experienced. I felt for the characters and eagerly awaited the upcoming events. It does derail somewhat towards its conclusion but that shouldn't detract from what an extraordinary experience Virginia was. It had me thinking for days. If I had written this list in mid-December Overwatch would not be on it. I enjoyed the beta and bought the game upon release but then didn't really get into it. However, over the Christmas period I loaded it up to see the seasonal updates and now I'm hooked. There is a feeling when the payload is just a couple metres away from its destination and you and your team are desperately attempting to prevent it.. and you succeed. It seems impossible at the time but when 'victory' flashing on the screen it is just so rewarding. I've even expanded my range of characters: previously I only played as Mei or Lucio, seemingly failing miserably with everyone else. Now I've expanded to Solder: 76, Symmetra, Mercy among some others and I seem to be doing okay. The colourful art design and wonderful cast of the game make it tremendously appealing and I find myself hooked on it. 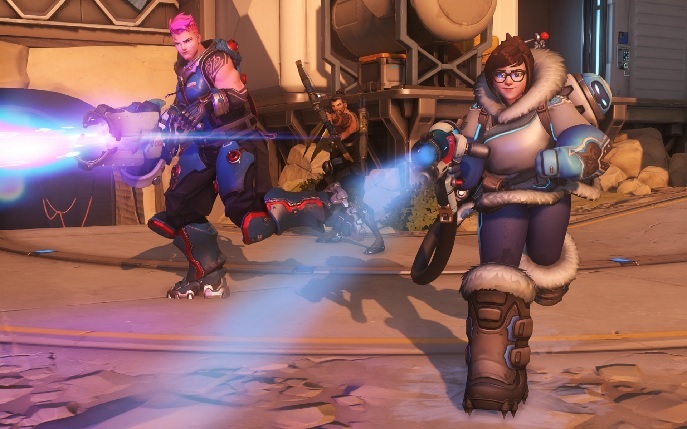 I even look forward to the loot boxes for cosmetics I don't usually care about it games. I'm still not going to pay for any though.. There are many games deserving a mention; some of which I've not yet completed. Fran Bow is a wonderful and dark point and click adventure about a girl trying to find her cat that I really must complete. Abzu channels Journey for a visually stunning underwater adventure and I fondly remember playing SUPER HOT the day it released – coincidentally on my birthday. Epistory was just a joy to play through and practice my typing skills at the same time!